really lovely outfit! great post! those necklaces are incredible ! Omg, just found your blog, you're adorable and your outfits are impeccable! I'm Gema, I live in Lancaster and whilst you're dreaming about NYC I'm dreaming about living in London, haha! I'm your new follower, so you'll be seeing me around! 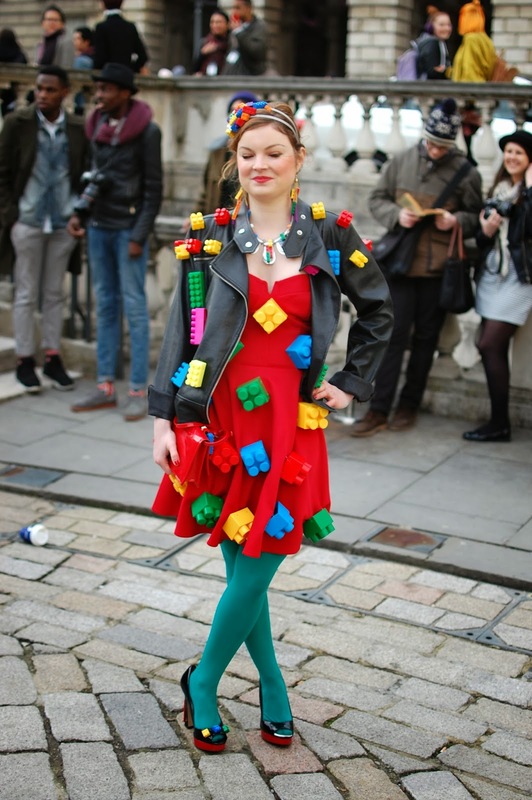 and WOW that lady's outfit with the lego is amazing! Beautiful blog too by the way, really inspiring. Love the distressed jeans and the hat.